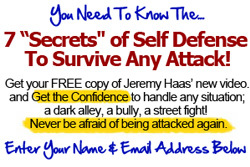 As a Master Krav Maga Instructor, Jeremy Haas, the founder of the ARCS Self Defense & Combatives System incorporates Krav Maga, Okinawan Karate, Combat Judo and Jiu Jitsu self-defense and combatives system that is brutally efficient and can be learned by anyone. In the following pages we outline what our students will learn as they study the ARCS Self Defense & Combatives System. Krav Maga is a non-competitive tactical self-defense system developed in Israel that consists of a wide combination of techniques sourced from boxing, Muay Thai, Wing Chun, Judo, jiu-jitsu, wrestling, and grappling, along with realistic fight training. Krav Maga is known for its focus on real-world situations and extremely efficient and brutal counter-attacks. It was derived from street-fighting skills developed by Hungarian-Israeli martial artist Imi Lichtenfeld, who made use of his training as a boxer and wrestler, as a means of defending the Jewish quarter against fascist groups in Bratislava in the mid-to-late 1930s. In the late 1940s, following his immigration to Israel, he began to provide lessons on combat training to what was to become the IDF, who went on to develop the system that became known as Krav Maga. It has since been refined for civilian, police and military applications.